Rug making involves passion and love for colors, with close attention to details. From the early stages of their business the main difference which set the Kashanian family apart from other companies was their eye for color and attention for quality. From the experience of the family, this notion has been adopted and belief that the FJ Kashanian signature should be on every single piece. Designing, To create a rug, first a graph is hand-drawn which is like a blueprint of the rug. Each segment of the design gets assigned a color. On Average all Kashanian rugs could have up to 30 different colors. Production, all F.J. Kashanian Rugs are hand-knotted on their own looms in India or Pakistan using the highest quality wools and/or silks. 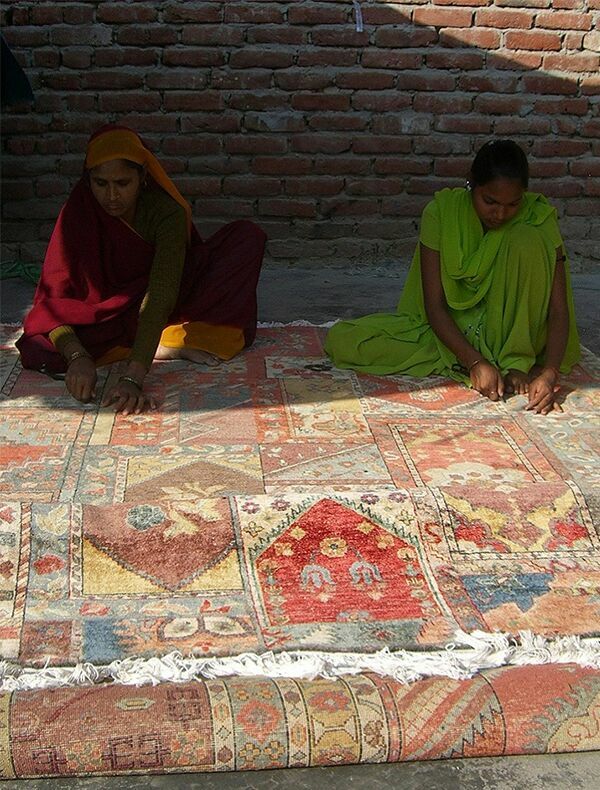 Choosing the highest quality materials is the only way this family has learned to make their rugs. Attention to detail is the key for the Kashanian family who always chooses the best weavers who appreciate this craft and treat each rug as art. Washing and Finishing, after the rugs have completed the weaving process and are removed from the looms, they are laid in the sun to be wash and sheered. This gives each rug its shine and luster, a key component in the finishing process.